Morning- Begin your day stocking up on supplies and breakfast at Tangent Outfitters and Cascade Café. Enjoy your morning of shopping at Amish Heirlooms, Pearl’s Petals and Gifts, flea market-esqu shops including Yesteryear, Big Dawg’s Bargains, and Cascade Café. All within walking distance for a nice stroll through this quaint small town that’s a hub of outdoor adventure in Giles. 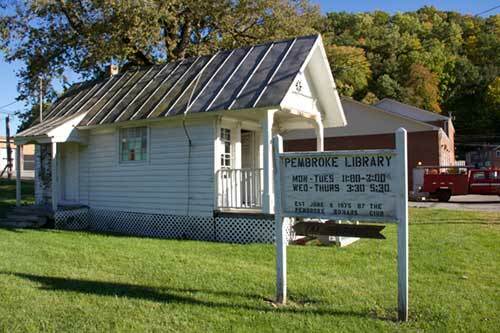 While walking through town stop and visit the Littlest Library in Virginia- the Pembroke Public Library. Your lunch options are plentiful in Pembroke. Enjoy family favorites at Roma’s Italian Restaurant or Riviera Mexican Grill. Want something quicker? Enjoy Subway or Cascade Café, they also have hand-dipped ice cream! Your activity options are extensive in Pembroke. You can rent tubes and enjoy the New River Water Trail from New River’s Edge. 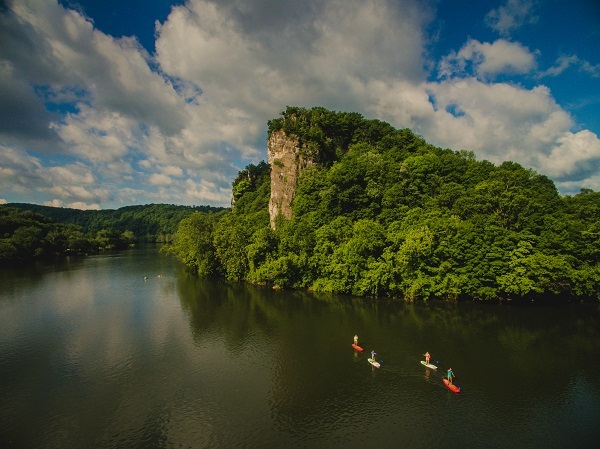 Paddle boards, canoes, kayaks, or bikes can be rented from Tangent Outfitters. 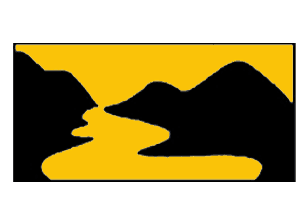 Both New River Outdoor Company and Tangent Outfitters offer guided fishing trips and shuttle service to enjoy the entire 37 miles of the New River. With a public boat landing in Pembroke, you can start or finish your river adventure right in town! Looking for something off-water? Enjoy a round or two of golf at Castle Rock Golf and Recreation. 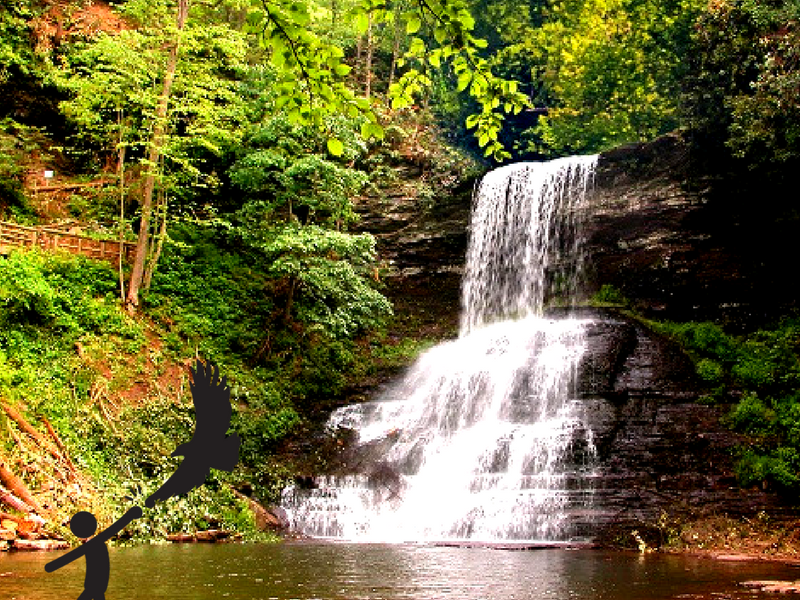 One can’t think about visiting Pembroke without a hike to the Cascades waterfall. A 69 foot waterfall that is accessed by a 4 mile round trip hike. The hike, on average, takes about 3 hours. Above the falls you could also venture to the Upper Falls or Barney’s Wall! 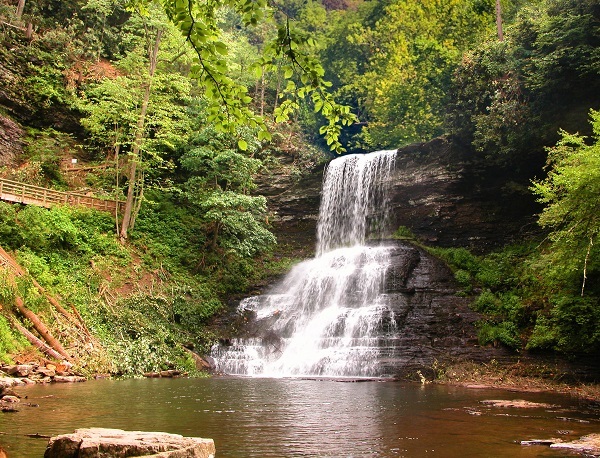 The Cascades Recreation Area is managed by the US Forest Service and there is a $3 parking fee. If a public space and nature walk is more your thing, or if you have little ones in tow, enjoy Treasure Island, Pembroke’s Town Park. End your very full day in Pembroke with dinner at Kal-Bee’s. An award winning Korean restaurant. You can also enjoy lodging close to downtown at New River’s Edge a-frame log cabin, or camp along the banks of the New River at R&R Campground. Other nearby lodging along the river can be found at gilescounty.org/lodging.